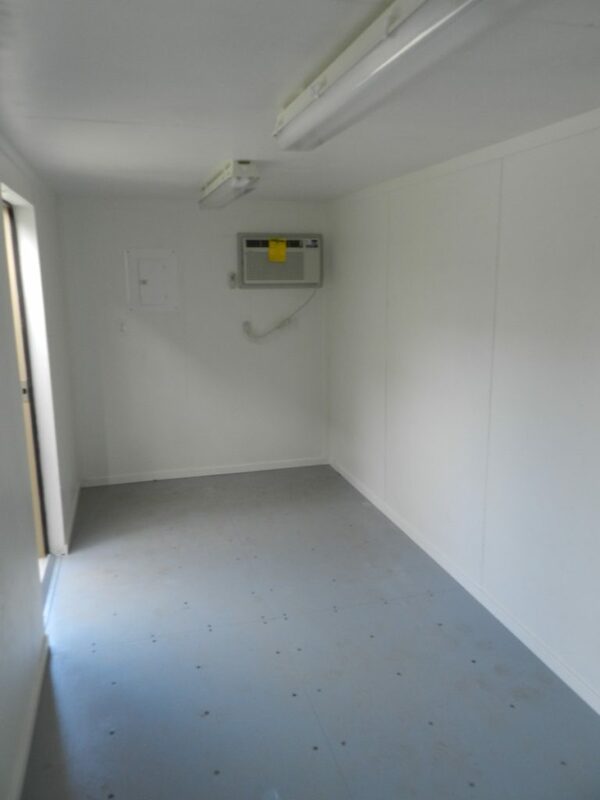 Lined Office | ContainerWest Manufacturing Ltd.
As with the Basic Office, these units have all the essentials: a man door, sliding window, heat, lights, & electrical outlets. In addition to these basic features the Lined Office also houses a fully insulated interior, lined with plywood. This makes the Lined Office more suitable for winder use and allows for the capability to mount equipment on the walls. Forklift pockets and corner castings make moving & stacking units easy. 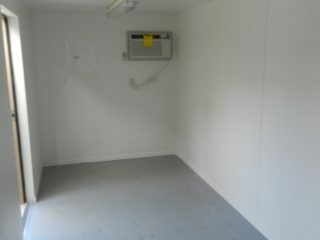 As with all our containers, these units are durable, secure, and wind & water tight. Heated, with optional A/C unit available.